Traditional marketing activities don’t cut it anymore for insurance companies. If you’re looking to attract new clients, you have to get creative. Many homeowners screen cold calls from telemarketers, and most people immediately toss pamphlets or direct mail pieces. So if you want to improve the effectiveness of your insurance company’s marketing efforts, it’s time to consider inbound marketing. Unlike traditional marketing strategies that involve companies sending messages out to an audience, inbound marketing helps customers find your company online. With inbound marketing, potential clients start the conversation by searching for a specific topic. For example, you can create ads and web pages that display when people search for insurance policies online. This is especially important for insurance companies looking to stand out from competition and attract new leads online. Why do insurance companies need inbound marketing? People have been finding more and more ways to cut down on unwanted outbound marketing messages. And most people only pay attention to insurance agencies when they’re in the market for insurance. However, when people are ready to find an insurance company, most look online. Inbound marketing is key for positioning your insurance company where people are searching online. Here are some inbound strategies to consider when marketing your insurance company. Your website is often the first point of contact between your insurance company and potential clients. And it’s important that it accurately depicts your company and the services you provide. It should also be easy to navigate or visitors will quickly move on to a competitor’s site. But the design of your website is only one factor. It should also be optimized so that people can easily find your site via search engines. Search engine optimization ensures that your company shows up in top search results for industry-related keywords and phrases. When people search for insurance providers in their area, your site should be one of the first options they see. Insurance is a competitive industry, and optimizing your site with SEO gives you a leg up on competition. However, SEO is a long-term strategy, and it takes an experienced Internet marketing firm to successfully manage your SEO campaigns and ensure that you maintain top rankings in search results. You can also use social media sites like Facebook and Twitter to highlight your business and help people feel more comfortable trusting you with their insurance needs. Posting informative content on social media is also a great way to position yourself as an industry leader and online authority in the insurance field. In addition, you can host contests or offer promotions exclusively to your social media followers. Building a social media following takes time. But it’s an important factor in the success of your inbound marketing campaign. Email marketing helps insurance companies tap into a valuable referral source—existing policyholders. Stop sending out templated emails and automated messages wishing people happy birthday. Instead, use email marketing to stay in front of people who will send you referrals. And do it in a way that is helpful and inspiring. For example, you can consider running a referral contest through email. This not only helps to grow your insurance business, but also rewards customers that send referrals. This is a great way to leverage your existing customers and design creative emails. Instead of paying for email lists and blasting out content that no one wants to read, do something unique and increase the loyalty of already satisfied customers. 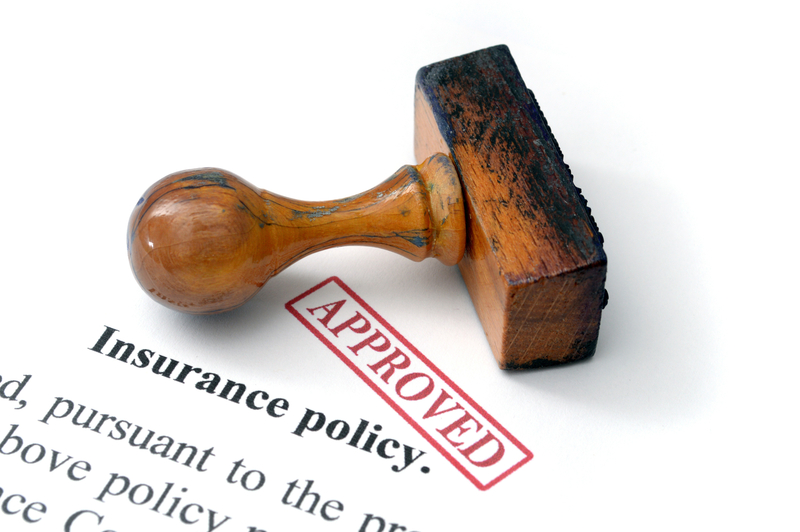 How do insurance companies benefit from inbound marketing? For insurance companies, having a strong online presence goes a long way when it comes to converting potential customers into clients. People use search engines to compare insurance companies online, and they will likely click on the sites that rank highest in search engine results. If people are looking for insurance products online, they are probably willing to read a business blog or download content from an insurance website. Inbound marketing ensures that companies maintain a consistent presence online, which allows them to attract potential clients and convert them to paying customers. Inbound Marketing Inc., a division of WebFX is a full-service inbound marketing company that specializes in providing strategies that will drive traffic, engage customers, and increase revenue for your insurance company. Contact us today to find out how we can put inbound marketing to work for your insurance company.